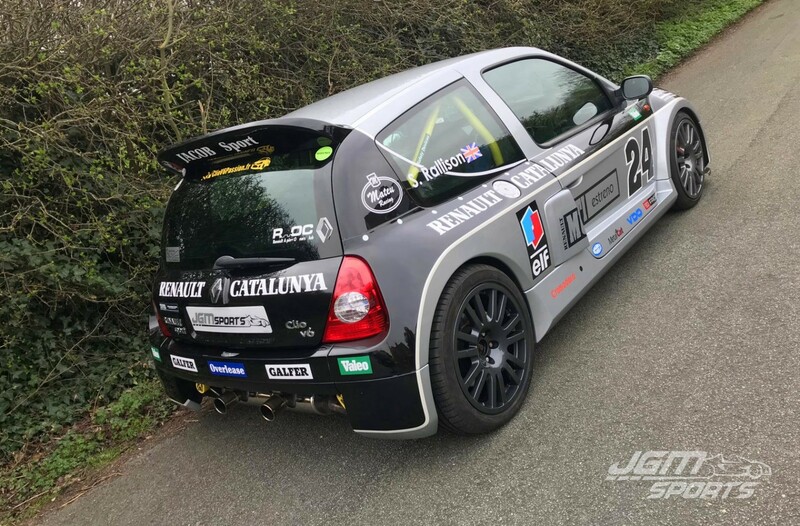 We are extremely pleased to be able to offer this Renault Clio Sport V6 number: 1557 for sale at a reasonable price. Back in the day we used to sell a fair few of these pocket super cars, however over the last five years the price of them have sky rocketed. 2 owners from new (last owner 12 years). 2 x keys, 1 x fobs. Has been extremely well looked after, full service history with 9 stamps in the book. Original owners manual and a folder full of invoices, V5 and all old MOT’s. 2007 26,129 miles – MOT. 2008 53,368 miles – MOT. 2009 73,920 miles – MOT. 2010 78,842 miles – MOT. 2012 83,009 miles – MOT. 2013 84,426 miles – MOT. 2014 86,654 miles – MOT. 2015 88,561 miles – MOT. 2016 89,969 miles – MOT. 2017 90,789 miles – MOT. 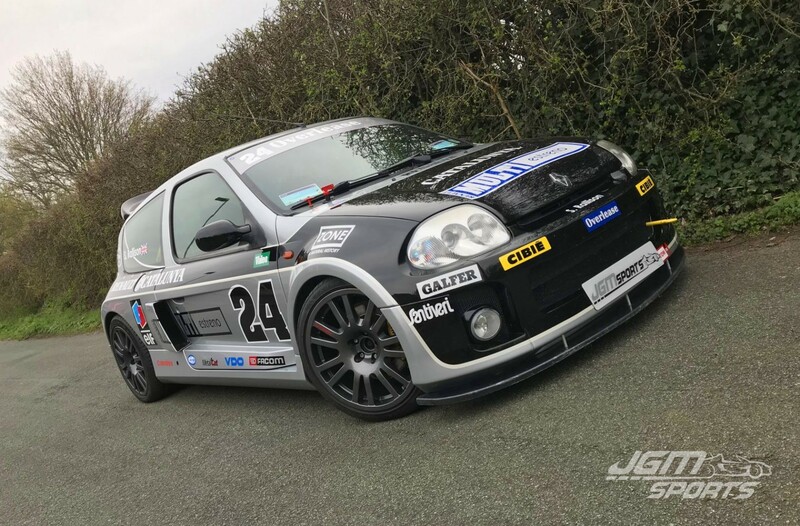 To prepare the car for sale the expensive cambelt service will be carried out along with an air condition service, four wheel laser alignment and a fresh MOT. As you can see this car is very modified as the previous owner was a real enthusiast having owned the car from 26,000 miles. 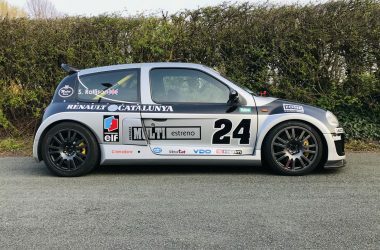 Painted in the livery of V6 trophy runners Team Codony (Catalynya Spain). Cromodora 18inch trophy wheels (£2,500 if you can find them!). External battery cut off switch (currently disconnected). Safety devices half roll cage with harness bar. Trophy carbon fibre front splitter. ELF livery blacked out headlight covers for show use (not fitted in photos). ITG carbon cold air induction kit. TWR development down pipes and collector box with cats still in place. 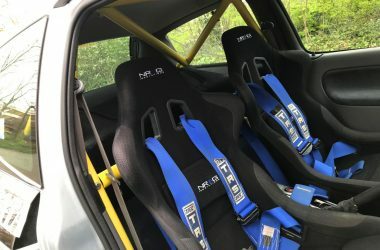 NRG innovations carbon fibre seats (original seats also included done less than 30k miles). Flocked engine covers and dashboard. Custom painted centre console to match the exterior. Excellent condition body work and interior. As you would expect a pleasure to drive and attracts a lot of positive attention.